Heather is a native East Bay resident familiar with the rich diversity of our neighborhoods. She was born in Berkeley, raised in Piedmont and now lives in Oakland. Heather’s background is in green building and remodeling. 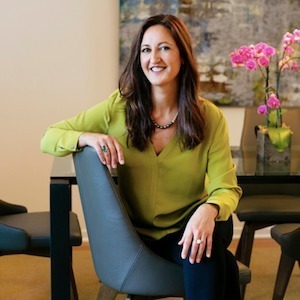 Before obtaining her license, she worked for a custom green builder as a design consultant, where she spearheaded the company’s remodel sales division and played a key role in the building of two award-winning, LEED®-certified homes. She also has bought, sold, rehabilitated and built homes for her own personal investment and use. When she’s not working, Heather can usually be found outdoors enjoying one of our many scenic regional parks. She is an avid hiker with a special appreciation for our beautiful Bay Area. Heather is committed to sustainable building practices. She is a graduate of the National Sustainable Building Advisor Program & is certified as a Green Building Professional (CGBP). Heather is fluent in Spanish and spent a year living abroad in Seville, Spain. An advocate for children & the environment, she served as an East Bay board member of PLAYWORKS® for over 6 years and co-founded the “Climate Action Committee” of the Oakland Berkeley Association of Realtors. Heather has the education, experience and background to effectively market your existing home or help you choose a new one. Buying or selling a home may be one of the most important decisions you can make in your lifetime. When you choose Heather Webster to guide you through the process, you can rest assured you’re in good hands.